Many meat eaters wonder why vegans/vegetarians would even want to eat something which looks and tastes like chicken or a burger. For me – back in 1996 – being a vegetarian was an ethical choice and not because I didn’t enjoy the taste of meat. (I really did. I was the girl who’d happily sit down to eat a plate of liver and onions as well as more child-friendly meat such as chicken.) 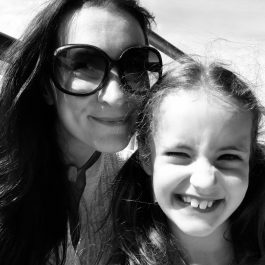 My decision was purely because I didn’t want to play any part in the way living, sentient animals were being farmed, transported and destroyed – particularly in light of modern mass-farming methods. So for me, and I believe a huge percentage of other vegans/veggies, a ‘meaty’ component is often (but certainly not always) desirable in a meal. Of course there are millions of recipes that always were and always will be plant-based, but it is good to know that meat-heavy recipes can also be easily adapted. There are huge cultures and beliefs such as Buddhism where a life-long vegetarian diet is absolutely the norm and ‘mock meats’ such as seitan (wheat gluten) and tofu are enjoyed. 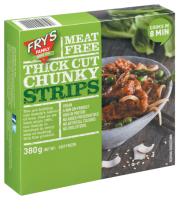 Chilli, curry, bolognese, stew, casserole and any dish with a sauce or ‘gravy’ base can easily be adapted by using a mince or chicken ‘meat’ substitute. Or you can alter recipes entirely by using lentils, quinoa, edamame (fresh soya beans) or legumes – such as chickpeas, kidney beans or butter beans in place of meat. 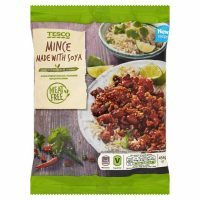 I like to use a mix; for example in my chilli I always use a mix of veggie mince and lentils in place of minced beef (ground beef). 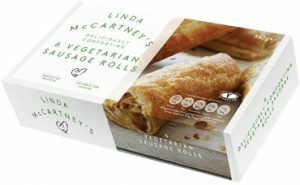 Textured soya protein-based products As found in products such as the Linda McCartney range and supermarkets’ own-brand veggie mince, sausages, burgers etc. These items are usually frozen, although you can buy dried soya that is rehydrated and flavoured as desired. 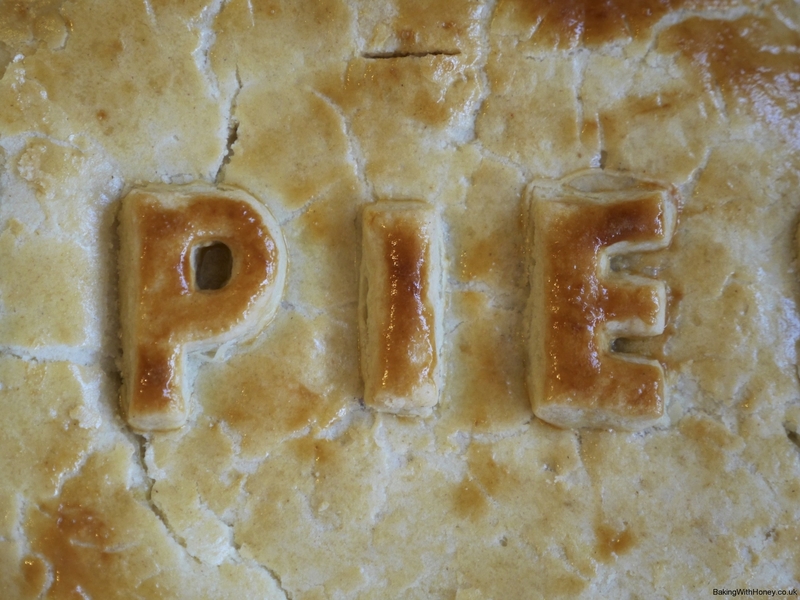 I don’t have much joy with this and tend to stick to the ready-seasoned products! Tofu (soya bean curd) can be bought in little blocks, either chilled or in UHT packets (handy to keep one or two in the cupboard.) It comes either silken or firm and is quite flavourless, so it is highly versatile and suitable for both sweet and savoury dishes. You can even blitz it with fruit to make high-protein vegan smoothies. If you intend to use it as a meat replacement, it does require a bit of preparation – drainage (essential for firming it up to give it a slightly more chewy texture) and marinating can take a few hours; alternatively, you can buy tofu that is already drained (i.e. firmed up) and seasoned. Less commonly found is tempeh, made from fermented soy beans. 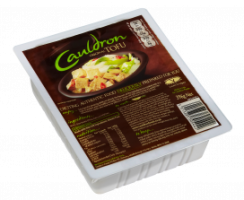 Quorn is a high-protein, low fat mushroom-based mycoprotein and has been around since around 1985. Love them or loathe them, Quorn products have revolutionised the vegetarian market and made vegetarianism extremely accessible by offering an extensive range of products both chilled and frozen – from ‘ham’ deli slices for your lunchtime sandwich to chicken-style chunks and terrific veggie burgers. 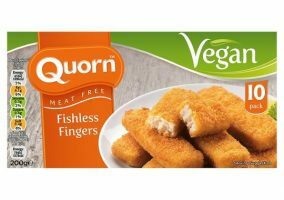 The new vegan range tastes quite different to the original Quorn and takes a bit of getting used to – however we do love the Fishless Fingers! 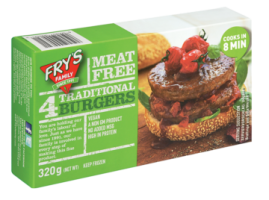 Wheat gluten-based products Fry’s Family Foods make outstanding vegan products, including the best burger I’ve ever had. 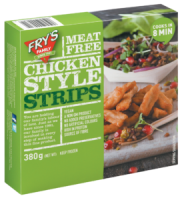 Since switching to a plant-based diet, Fry’s products are a staple in our house! Other gluten-based foods include seitan, which is easily made at home.